A few weeks ago, I went to a “Bagels, Bialys & Pretzels” cooking class at my local kitchen supply store Different Drummer’s Kitchen. So much fun and the cooking instructor, Deanna Fox (who also writes food columns for the Times Union), was great. Cut into pieces and rolled into ropes for twisting. These are the “normal” shaped ones. The first four were horrendous. 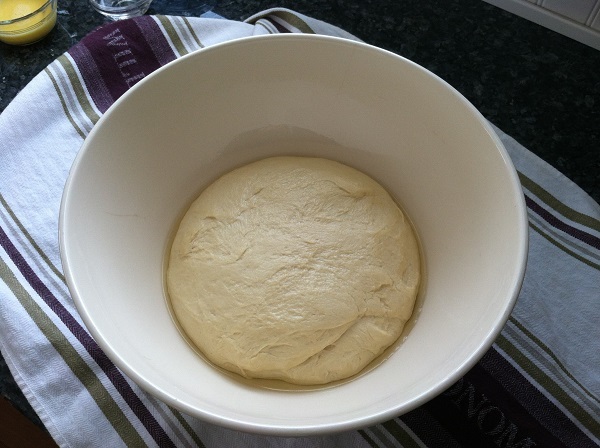 Boiling in water with baking soda for a couple minutes to make a crust on the outside and start the cooking. 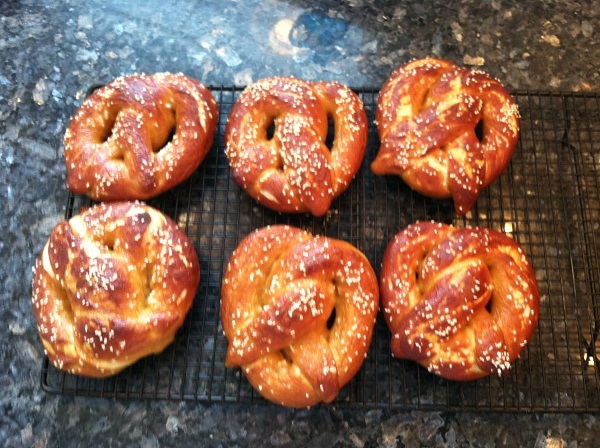 Puffed up from the boiling, sprinkled with pretzel salt (saved from a box of store bought Super Pretzels!) 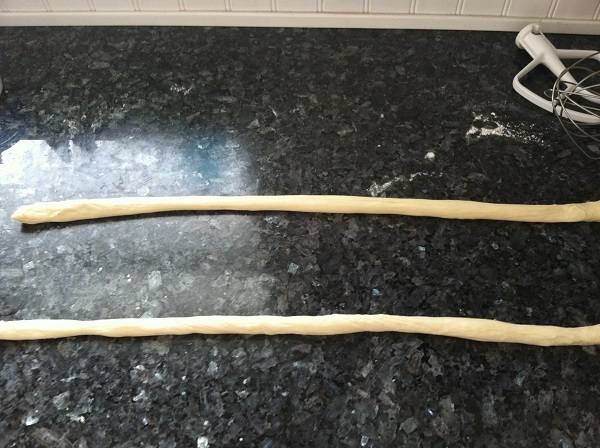 and ready to bake. Oh. My. Gosh. Fresh from the oven? Ridiculous. Dipped in a honey mustard dip? Even more ridiculous. These were surprisingly easy to make and I will definitely make them again. And again. And again. Maybe even this weekend. Next time I will bake them a tad longer (or make them smaller) since they were quite soft on the inside. (But still totally edible.) Also, I will try baking them on my pizza stone to make them a little crispier. Mix it all up and dip away! Now I’m hooked on cooking classes. Mozzarella 101 was last night where we learned to make homemade mozzarella along with some yummy mozzarella-involved dishes. I also have my eye on an upcoming “Farmhouse Morning Breakfast” class and a “Lasagna Bolognese and Tiramisu” class. All are totally compatible with eating healthy. Which is my new thing. 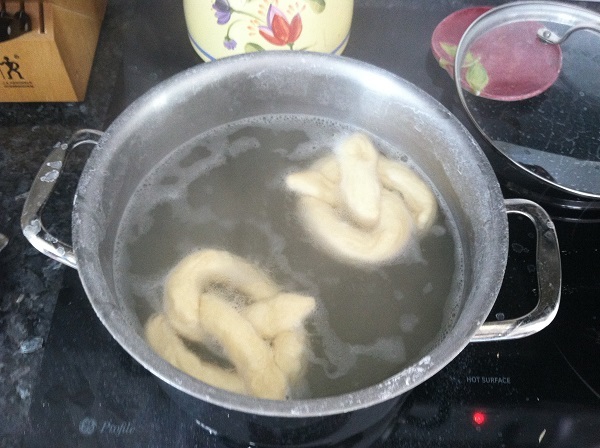 Posted in Uncategorized and tagged different drummer's kitchen, honey mustard dip, soft pretzels on February 21, 2014 by lizytish. Yum! The classes sound great. 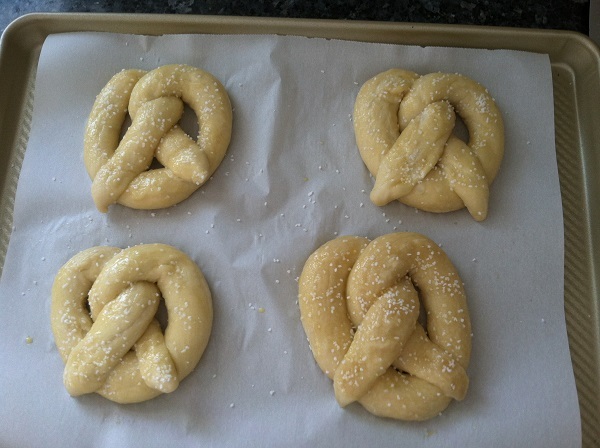 My husband makes Alton Browns pretzels! 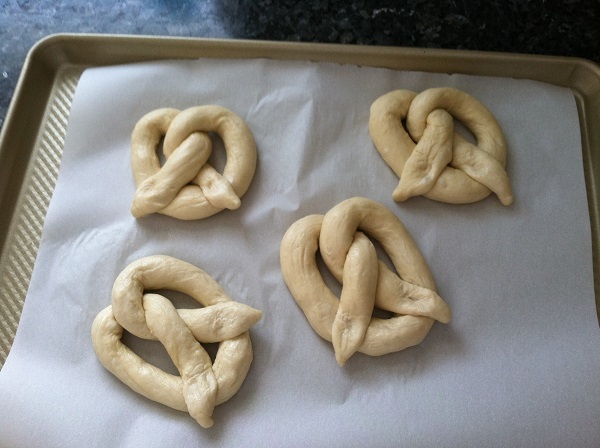 We make little pretzel nubs to avoid the folding. And we warm olive oil with fresh garlic, rosemary, and Parmesan in a saucepan for dipping. It’s amazing! OMG – the dipping oil sounds excellent! A must try for my next batch!